The first thing to consider in any email marketing campaign is knowing exactly what your product is and figuring out exactly how to reach out to find your audience. 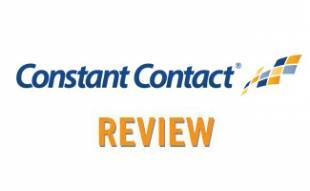 You are most likely in one of two groups; the first group is one where you already have an extensive email list of clients or business who you have done business with before and are continuing to reach out and do business. The second group is where you have no email list and are trying to find new markets to do business. A lot of times businesses will fall into both categories, where you have a list of previous clients and connections, but are still looking to broaden the reach of your business. Before you go any further, you need to understand what you have and what you want to accomplish. The following guide will help you grow your business through producing valuable marketing content and getting your message out to as many people as possible. If you are a new business, or new to email marketing, the most important thing to do is to grow your email subscriber list by adding as many emails as possible from walk-in clients, or from other smart business tactics. Whenever you network, make sure you get as many business cards as you can. Gathering emails is the first place any business needs to start. Think about creating promotions by signing up customers at checkout or creating promotions that allow you access to customers’ emails. Your mindset in this phase should be volume building. The more emails you have, the more people you can reach out to and the better your marketing strategy becomes. If you already have a good list of previous clients or businesses, you already have a head start and should get to work producing valuable content as quickly as possible. Think of email marketing as a sneak peek into what your business can do for your clients. You should begin by establishing a set of goals that you wish to accomplish by creating an email campaign. With that, you should also establish a “sprint,” or a defined period of time you wish to accomplish your goals. You should assemble a task force and delegate specific jobs for each group or persons to quickly and effectively set into action your campaign strategies. You should set periodic meetings to make sure your team is on track and moving in the right direction. The next step is creating the content for your email marketing is building an effective marketing strategy. Think to yourself, “what does my business do well, and how can I effectively showcase this?” Once you are clear what you want to present, do so as best you can. Utilize pictures, graphics and charts, even video or audio samples. You want to make sure you present your business in the best light possible, and tailoring clean, effective emails is a great way to make your business look good and make customers want to see what you have to offer. A/B Testing is a wonderful tool provided by most email marketing service providers and it should always be used before sending out an email campaign. A/B testing allows two different versions of the same email to be sent to a small sample of your email list. The results of this test can be used to determine which version received a better click-through and response rate. From this sample, you can determine which version of the email will perform better to your entire customer base. If you are not using an email marketing service, make sure that every email you send out has the entirety of that list blind copied so that you can get the most out of your campaign. A mistake often made is sending emails out where the whole email list is visible to everyone receiving the email. Blind copying effectively hides the email list and allows users to see the content of your email right away instead of a laundry list of emails. In today’s world, where a great percentage of emails are read on smart phones, the last thing you want is for someone to open your email and not get to the content. Think about your audience and what they want. 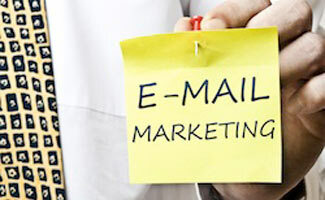 Email marketing is, when you boil it down, advertising for your company. Do you want to send out a bunch of text in paragraph form that someone has to pay attention to in order to understand your message, or do you want to use graphics, bold colors and bright pictures? Today’s marketers know that you want to reach somebody as quickly as possible, and creating visually appealing content is a great way to grab someone’s attention right away. Don’t be afraid to brainstorm and try things out. If you aren’t getting a lot of response with one idea, try something completely new. The idea is that you need to try, try, try until something sticks. Once you find what works, evolve by adding new content to that outline and watch your business explode. Think about what emails you open on a day-to-day basis. Does it have an effective subject line? Mark down all the emails you open and think about what made you open them. Was it from a reliable source? Is it something you signed up for recently or something you’ve open many times before? Chances are, what works on you will work for you. Studies have shown that people are more likely to open an email if there are numbers in the subject line. This includes dollar amounts, percentages, and even phrases like “2 for 1 sale.” If your business is having a sale, or even just announcing a new shipment of something, can you put a number in your subject line somehow? It might even be as simple as a date, but when people see numbers, they want to see what they can get and that might get your email seen instead of deleted. Effective marketers know that social media and email marketing should work together like cars on a train. They should carry similar messages and should work to get your business to the same destination. Does your business have a Facebook page? What sort of pictures do you post on Facebook? Would they work in an email? Show people what you can offer them and chances are they will want to see it. There are plenty of ways to see how effective email marketing is, and you need to make sure you keep up on the analytics of your campaign on a regular business. There are tools online you need to use to see how many people open your emails and how many people are clicking on the links inside your emails. Without tracking, email marketing cannot be measured and it is nearly impossible to see what is working and what isn’t. 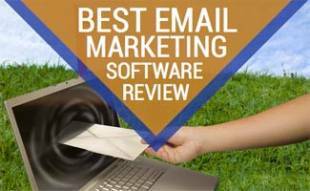 The best way to track is to use an email marketing service provider. By now, you should have an idea of what your message should be, and you should have an idea of how to get it out there. By constantly growing your email list, you are constantly broadening your reach to new buyers and businesses. Make sure that anything you are changing in your physical store, that you are letting the world know about it through email. Let people know how they can find you and what they’ll get in doing so and you will see your marketing strategy pay dividends. The basic principles of email marketing are the same as advertising: keep it simple, keep it clean, and keep it constant. Track your progress, and use everything you can to present your business in the best light possible. The biggest step is that first step, and as you get comfortable tracking progress, you’ll find that it gets easier as you go. 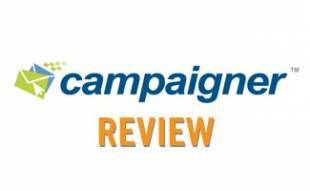 To assist in your email campaigns, check out our in-depth coverage of the Best Email Marketing Service Provider so you choose the best one to deliver your message. Ryan Rauch graduated from Scripps School of Journalism in 2009 and has been writing for We Rock Your Web since 2012. Ryan enjoys writing and researching new and evolving home security measures, and has a passion for technology. Hi, Your email marketing tips are the very best for promoting a business. Thank you.